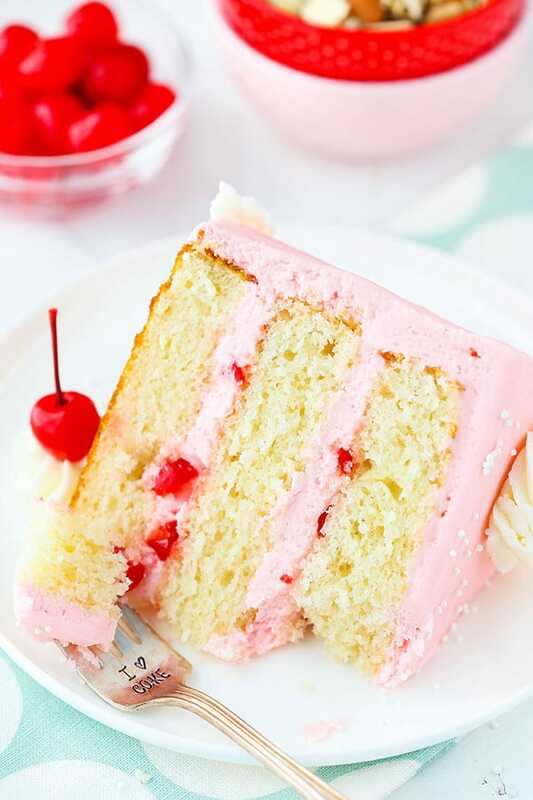 This Cherry Almond Layer Cake is made with a light and fluffy almond cake, cherry frosting and little bits of maraschino cherry! The mix is a totally under-rated flavor combo that you have to try! This cake just makes me think of spring. The flavors are so light and fresh, it’s like spring in every bite. And I am dying for a little more spring in my life! Our weather has been so crazy lately. I know it’s snowing like mad up North and we aren’t getting that crazy weather, but it’s been so warm that we have flowers blooming and now everything is freezing again. Nutty! 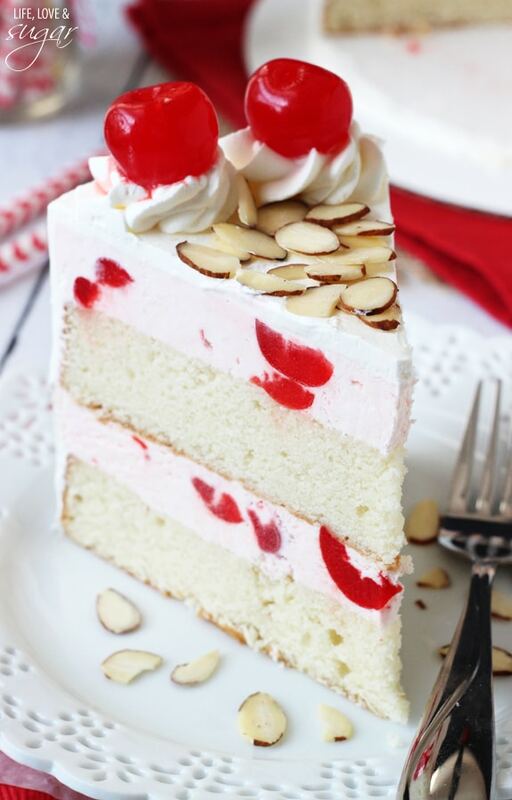 I’m just going to close my eyes, take a big bite of cherry almond cake and pretend like it’s actually spring. 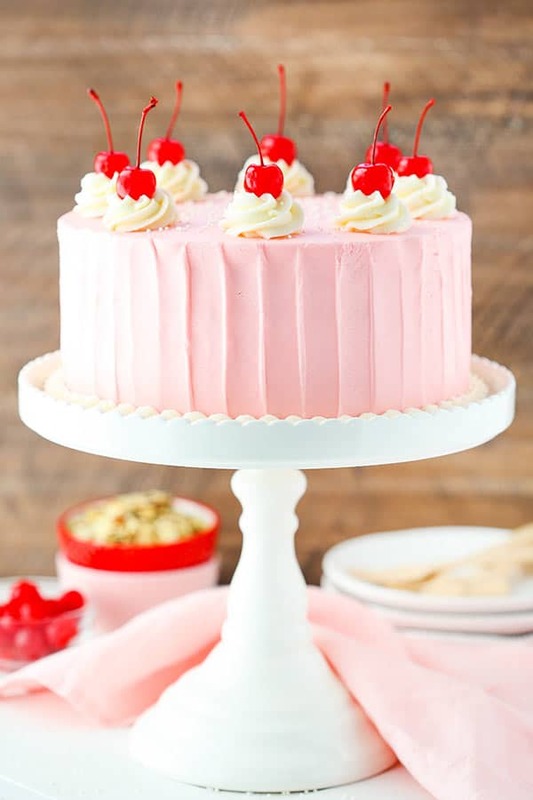 This cake is so fun and has kind of a neat retro look to it that I love. It’s a look that’s easy to create too. All you need is an offset spatula. The 9 inch is my fave. I feel like i have much more control with the smaller one. To get started, make the cake layers. 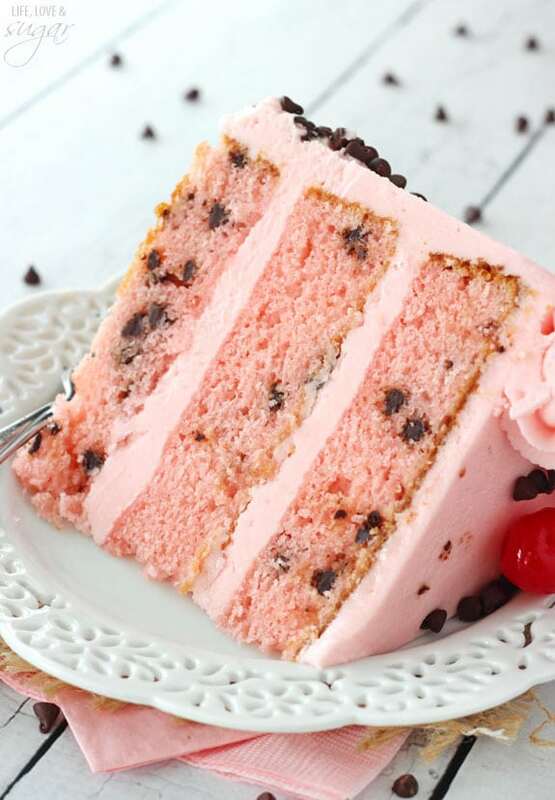 The layers have the almond flavor, which is so wonderful in a cake. The batter is relatively straight forward to make, beginning with creaming the butter and sugar. The creaming adds air to the batter that helps make it light and fluffy, so be sure not to skimp on the creaming time. Next you’ve got the almond extract and sour cream. I love sour cream in cakes – it adds so much moisture and flavor. Egg whites are added in two parts next and lend a light cake. Finally, alternating the addition of the dry ingredients and wet ingredients finishes off the batter. I like to use three 8 inch cake pans for baking because then I get more frosting between each cake layer, but feel free to use a different sized pan if you prefer. You’ll just need to adjust the baking time. Once the cake is baked, put everything together and frost it. Feel free to use my tutorial for frosting a smooth cake. Once you’ve got a relatively smooth frosting, use your offset spatula to drag from the bottom of the cake to the top to create a stripe. Continue around the outside of the cake until it’s striped all the way around. So fun! Topped with some swirls and cherries, it makes me feel like I should be in an old-school ice cream shop. I love it! And not only is it adorable, it’s so delicious! 9. 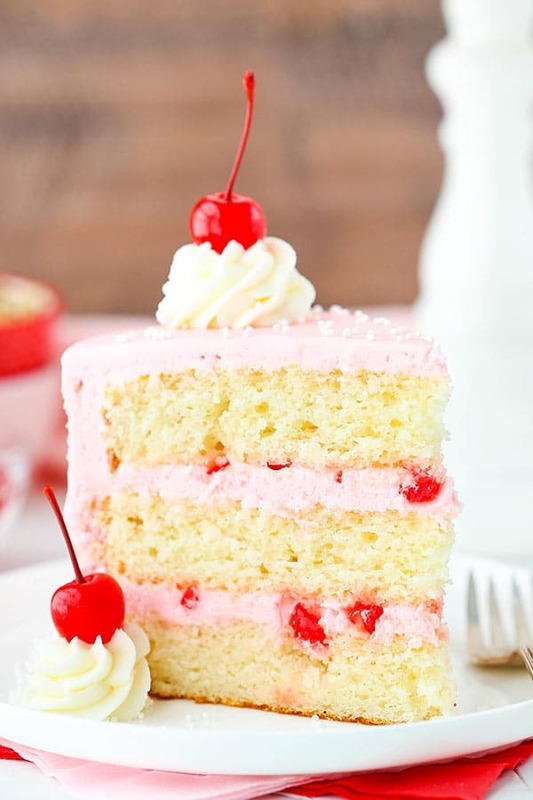 To make the cherry buttercream: In a large mixer bowl, beat the butter and shortening together until smooth. 11. Add 4-5 tablespoons of cherry juice and mix until smooth. 12. Slowly add the remaining powdered sugar and mix until smooth. Add additional cherry juice, as needed. 13. Color the frosting with some additional pink icing color, if you like. 14. 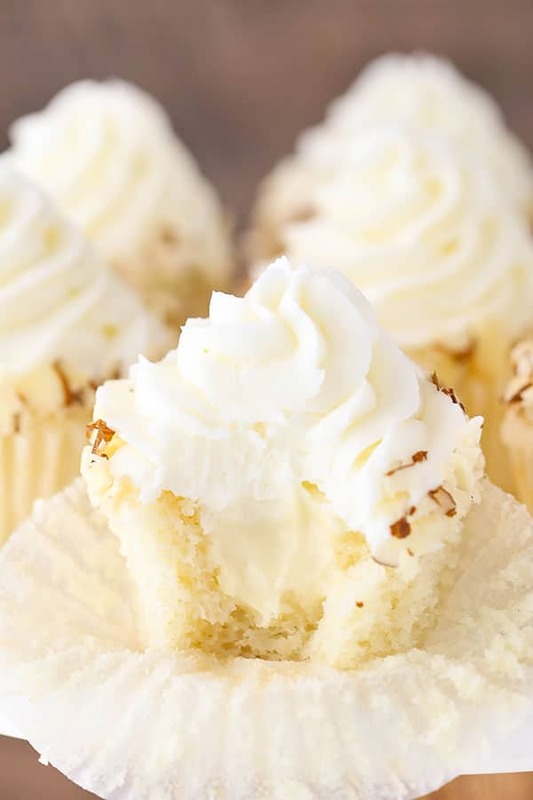 To make the vanilla buttercream: In a large mixer bowl, beat the butter and shortening together until smooth. 15. Slowly add half of the powdered sugar and mix until smooth. 16. Add vanilla extract and one tablespoon of water or milk and mix until smooth. 17. Slowly add the remaining powdered sugar and mix until smooth. Add additional water or milk as needed, as needed. 18. To put the cake together, use a large serrated knife to remove the domes from the top of the cakes so that they’re flat. 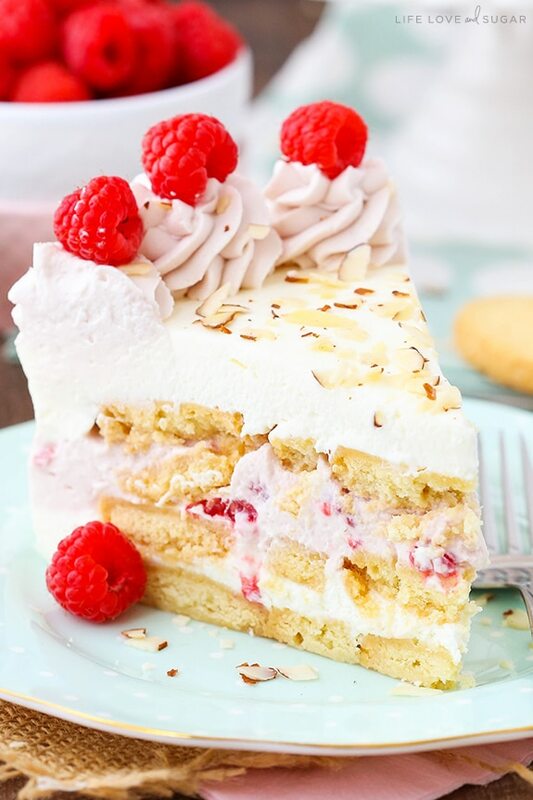 Place the first cake on a serving plate or a cardboard cake round. 19. 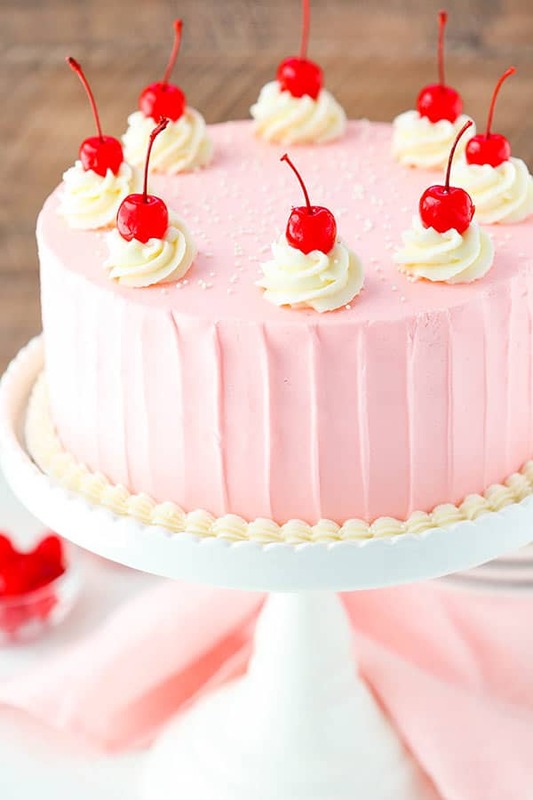 Spread about 1 cup of cherry frosting evenly on top of the cake. 20. Top the frosting with 1/4 cup of chopped cherries and press them into the frosting. 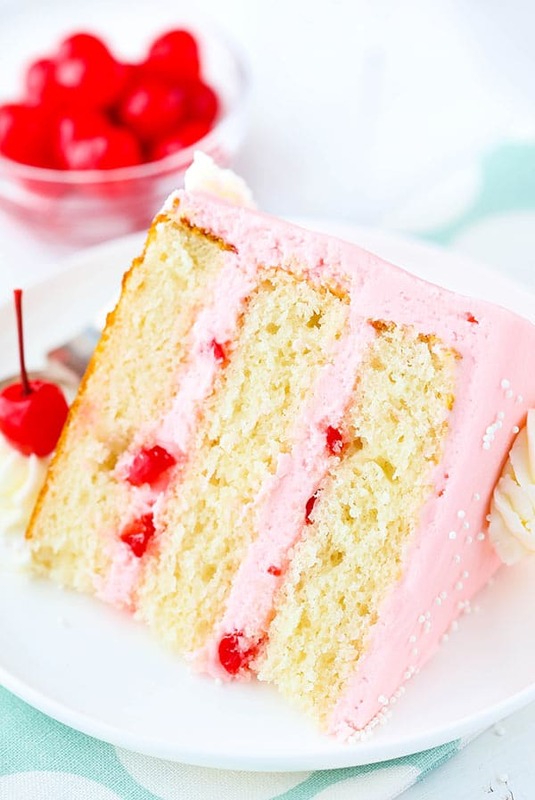 Smooth out the icing and cherries with an offset spatula. 21. 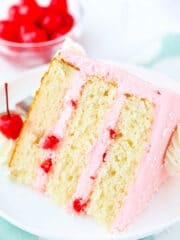 Add the second layer of cake and another cup of cherry frosting and 1/4 cup of chopped cherries. 22. Top the cake with the remaining layer and frost the outside of the cake. Refer to my tutorial for frosting a smooth cake, if needed, or watch the video above. 23. Use an offset spatula to create the stripes on the side of the cake. Watch the video above for guidance. 24. Use the vanilla buttercream to pipe swirls around the top of the cake. I used Ateco tip 844, but Wilton 1M or 2D would work as well. 25. 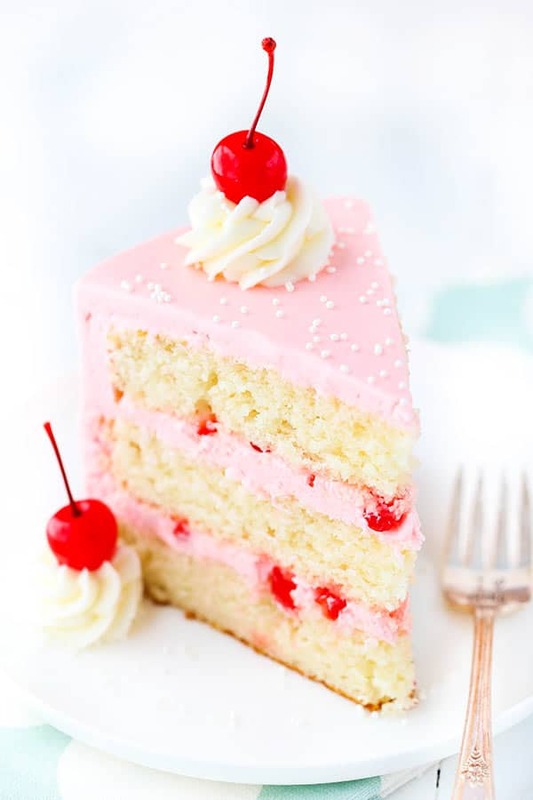 Top the swirls with cherries and sprinkle the cake with some white pearl sprinkles, if desired. LOvely!, but where can I find the maraschino cherries?????❤???? They are usually by the canned fruit at the grocery store. This cake represents my mom’s favorite flavor combo. I will travel to see her this weekend. She will be so surprised when I make this creation just for her! Thanks for sharing your recipe. My husband asked me to bake something for his dispatcher as a way to show appreciation. So I am baking his cake for him and it smells heavenly! Thankfully I will bake this cake a second time tomorrow as a pre Mother’s Day present for my mom. She is going to love it! Then I can finally taste a piece of this cake. Until then I can get free smells. The layers will be thinner, but yes. Hi! Just curious about using egg whites only…what would the difference be if used whole eggs instead? 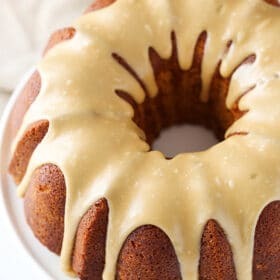 How does this effect texture of cake? BTW I just made your moist chocolate cupcakes….to DIE FOR!!! Absolutely amazing …I may have sighed after my first bite. I’m so glad you enjoyed the chocolate cupcakes. 🙂 Yes, the egg whites do make a difference in the texture of the cake. This recipe doesn’t turn out the same with whole eggs. Can I use cream cheese instead of shortning!? Sure, the frosting will be a little thinner though. You could also replace it with additional butter. You might find this post on frosting consistency helpful. Are these layers supposed to be so flat? They barely raised at all. It smells amazing, but I’m thinking I’ll have to whip up some more layers of another cake to add in here because it’s gonna be such a short cake and is def not enough for the birthday party I’m bringing it to. Did I do something wrong or is this just how the cake is supposed to be? Most recipes I use have baking soda to help it rise. No, they shouldn’t be flat and should definitely rise in the oven. Sounds like something wasn’t quite right. Are you sure you added the baking powder, and that it was still good? I’ve been known to forget things before. 🙂 The other possibility is the creaming of the butter and sugar. You really do need to beat them together for the full 3-4 minutes. It adds air to the batter that aids in the rise and fluffiness. I made this cake this morning, and I had the same issue. 3 very flat, approx. 1″ tall, or just under, layers. I made sure to use the baking powder, which is a fairly new can. I creamed the butter and sugar for 4 minutes. My batter was thick and divided equally among the 3 8″ pans. Great flavor, texture and color, but I always look for layers that are at least 1 1/4-1 1/2″ tall, as I like to make taller cakes.. ?? I made the cake and part of the frosting yesterday for a Cherry Blossom-themed party. The cake batter came out beautifully and tasted terrific! 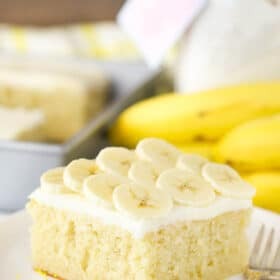 I loved the easy of this cake, it’s denseness, and stark white color. I did over-bake mine just a tad — found the baking time off in the recipe, but my oven does run cool. I will make the cake again! The frodting, however, was another story! I found it very cloying & greasy due to the amount of shortening in it. I questioned why both butter and shortening were used. The combo does help the structure, but not the taste. Additionally, the amount of confectioner’s sugar called for in the pink/cherry frosting alone was verging on shocking at 10 cups!!! 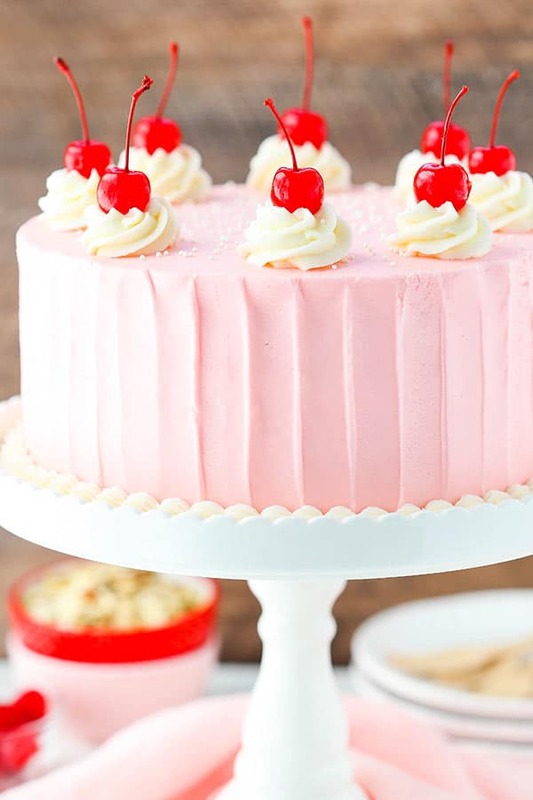 I made a pink batch, but ended up making a cherry cream cheese frosting to use on the cake instead. True, it was too loose to decorate with, but the taste was superior. I did use the pink frosting for some flower decorations.